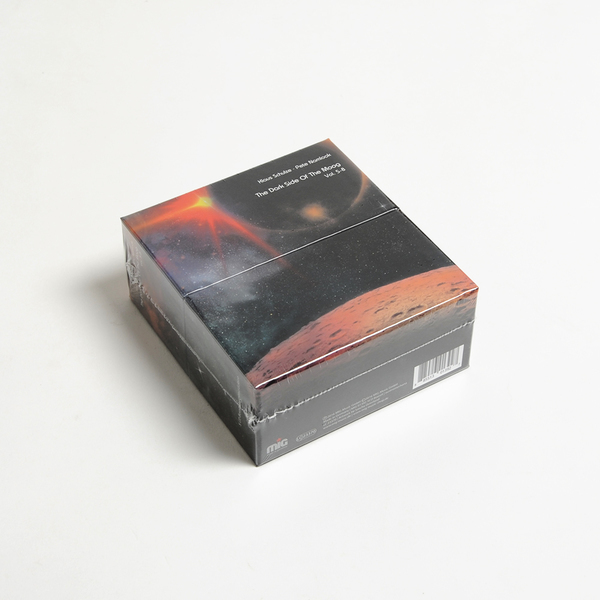 5 CD Set housed in a Deluxe Box. "In 1994, Klaus Schulze was able to look back on a long, successful and highly influential career, but he was also able to embrace the new. He was in the midst of his 'digital phase', fascinated by sampling technology, and had a clear idea of where he could go with the technology. By contrast Peter Kuhlman a.k.a Pete Namlook had just started. 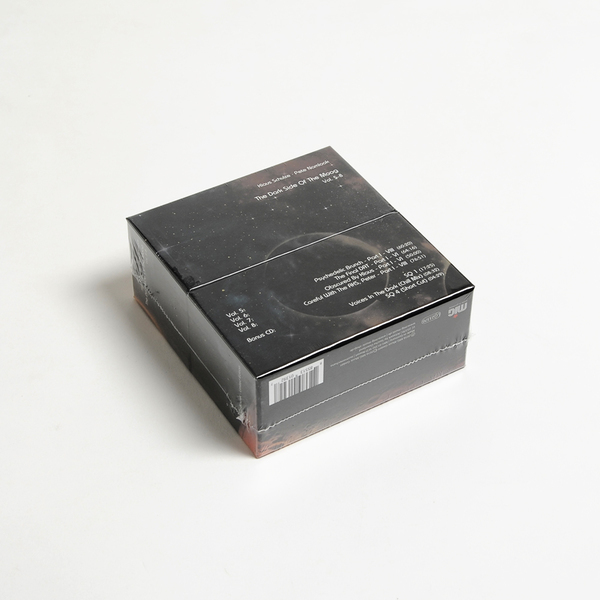 In 1992 he had founded the seminal Fax label, which was both a vehicle for his own recordings and a chance to collaborate and release recordings from like-minded musicians from around the world: Robert Görl of DAF; Geir Jenssen of Biosphere fame; the ever-eclectic Bill Laswell; Ritchie Hawtin; Lorenzo Montanà; Gabriel Le Mar; Dr. Atmo and David Moufang to name just a few. The influence Namlook had on Klaus's music in the middle of the nineties should not be taken lightly, because although Klaus dearly loved those early analogue elements from his own music, they had become, to an extent, lost. It was Pete who fortified him to go back to the analogue charm of his early albums and it was Pete who supported him in the modification of his analogue instruments, leading finally to the epoch-making Schulze album from 1996 - "Are You Sequenced?" For Namlook, the curiosity of Klaus Schulze and their collaboration on a level playing field of mutual respect was inspiring. And so a legendary series of recordings was born. 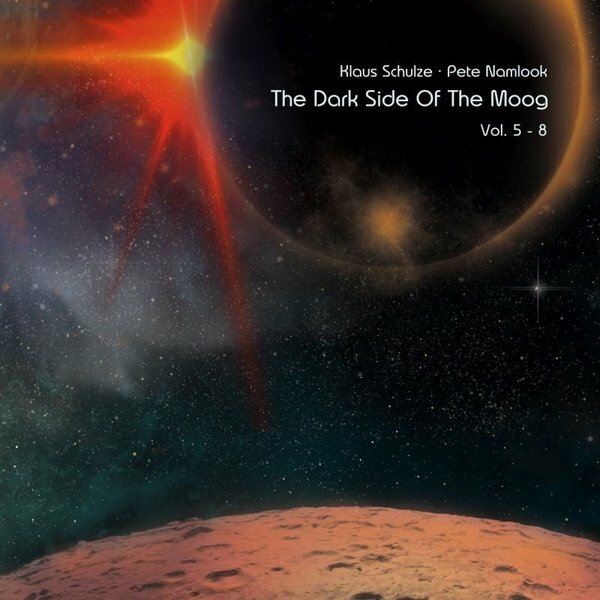 'Dark Side Of The Moog' grew more or less unplanned to a sprawling, stately-sized series of eleven volumes recorded between 1994 and 2008, only ending with the early, tragic death of Pete on November 8th 2012. Retrospectively, the approach to and exchange of music and ideas, the growing together and cross-pollination of emotion and logic, makes for a rewarding and fascinating listening experience that still holds its own today."